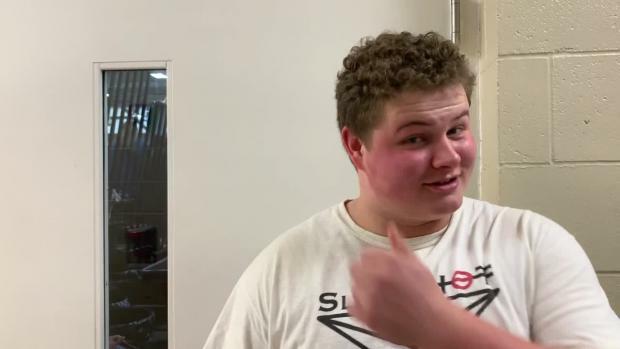 Aiden Felty is a senior at Innovation Academy Charter in Tyngsborough, Massachusetts. 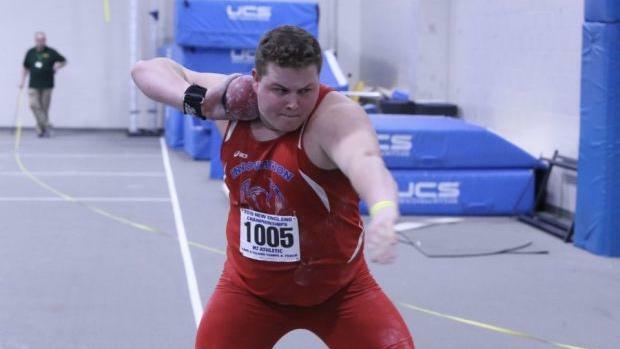 The Duke University signee finished the indoor season ranked US No. 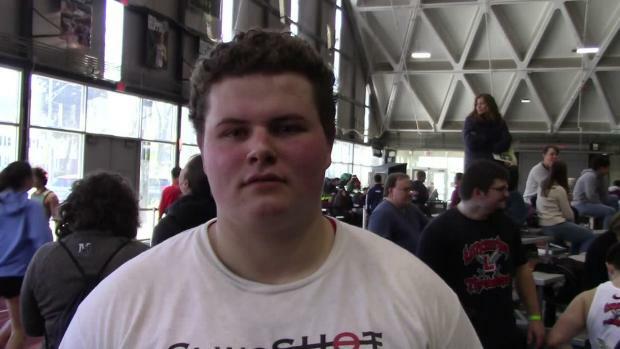 2 in both the shot put and won a New Balance Nationals Indoor title in the event. 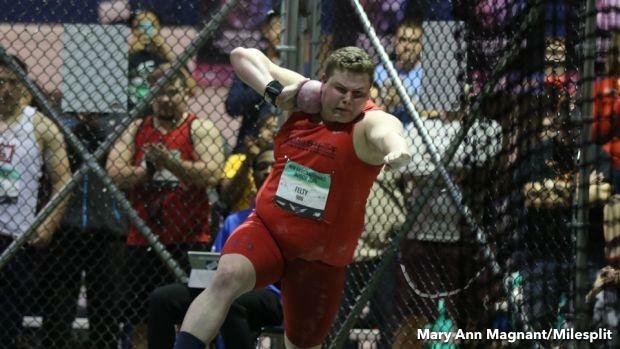 He's looking to dig even deeper this outdoor season, where he's one of the top returning throwers in the country. Thank you for teaching me the importance of character through sacrifice, perseverance and hard work. 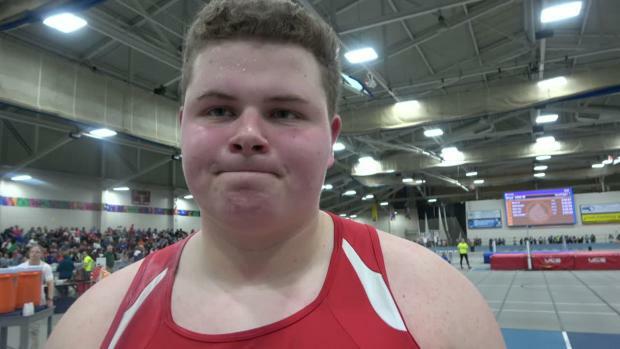 This past season, I won a New Balance Nationals Indoor National Championship in the shot put, set the New England all-time shot put record, and won the Massachusetts All-State Championship. Even though I accomplished all of that, these wins were not the only reason why I enjoy this sport. Throughout my career, I've always been determined to win big meets. In my head, I thought that winning would make me feel satisfied with myself. But along the way, I realized that winning was only part of that. Instead, I found the effort--and the journey--spent toward the pursuit of a win has been more fulfilling. The journey has consisted of early mornings and late nights practicing, driving twos hours north to Maine to meet my coach for extra training and lifting sessions where I wanted to quit because the weight felt like it was going to snap me in two. It was those days when my hands tore and bled. It was those days when the sun beat down on my neck, but I knew I needed to keep going. My path was full of restless nights that made the next day feel twice as long, and there have been countless times where I could've been out with friends, but instead found myself in the circle as the sun faded beyond the trees. My time in this sport has been chock full of practices where nothing seemed to work--moments where I questioned if I was actually a champion, or whether was it some crazy pipe dream I had the night before. Many times I thought of myself as a hopeless dreamer who was too naive to understand this sport wasn't meant for me. There were times when I wanted to quit and throw everything away. But I am glad I didn't because it would make these moments of success impossible. Originally, I thought there was a direct correlation between my happiness and winning. I thought that the more I won, the happier I would be. But as I matured and developed in throwing, I found this to be false. In my junior year, I faced a heavy defeat by fouling out at the Massachusetts Indoor State Championship. This negated my chance of moving on to the New England Championships and crushed my confidence in the ring. Looking back, that was my defining moment as an athlete. I didn't let one day, one competition and one throw stop the goals I was determined to accomplish. It didn't force me to give up on the sport I loved. Instead, I quickly became fueled with a desire, obsession and passion to win. I decided to continue the journey, accepting the ups and downs, and it brought my new found passion to the outdoor season, where I broke the 60-foot barrier for the first time. Shortly after my season concluded, I began receiving interests from big name universities. I began my college pursuits and many of the coaches put a cap on what they thought I was going to throw as a senior-- all of their estimates were well below where I saw myself. This just fueled the fire more. I wanted to win everything. I wanted to be the best and I wouldn't let the obstacle of hard work stand in my way because I loved the challenge and the sport of throwing. So my senior indoor season was the start of the "Revenge Tour 2K19," where my coach and I set a plan to win every meet that season. We saw this as an opportunity to show everyone who had ever doubted me--or thought there was a limit on my abilities--that they were wrong. And I took this as an opportunity to find joy in a sport that I had put everything into. 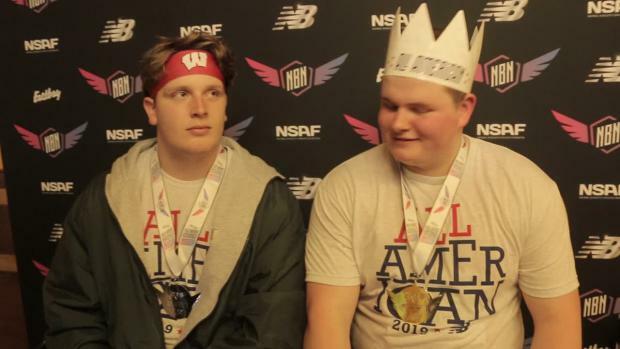 After walking away from New Balance Indoor Nationals, the pinnacle of high school competition and the most high pressure-filled situation I had ever been in, I was filled with emotion. Not because I had won, but because everything I had given up put me in a position to succeed. It was the sacrifice. Going into the last throw of the night, I was bumped down to second-place. I had one throw to respond, and not only did I respond well, but I was crowned the national champion. And even after becoming the 2019 indoor national champion, I was more proud of my work ethic throughout the previous eight months than the competition itself. Winning isn't everything. In fact, it is everything else that makes this sport worth it for me. I am forever grateful for the people that I have met and influenced, all the shared memories and laughter between my coaches and teammates. I'll remember the warm embrace of my father after being crowned champion. Those are the moments that I will always remember, not the numbers on a paper or website. Even though I was filled with pride in that moment, I could only think of the path I took to get there. The journey. The roller coaster of emotions. The strikes, the strikeouts. They all lead to that one home run. To this sport of throwing, thank you for not only teaching me how to compete, but teaching me the value of enjoying the ride and not just the final mark.